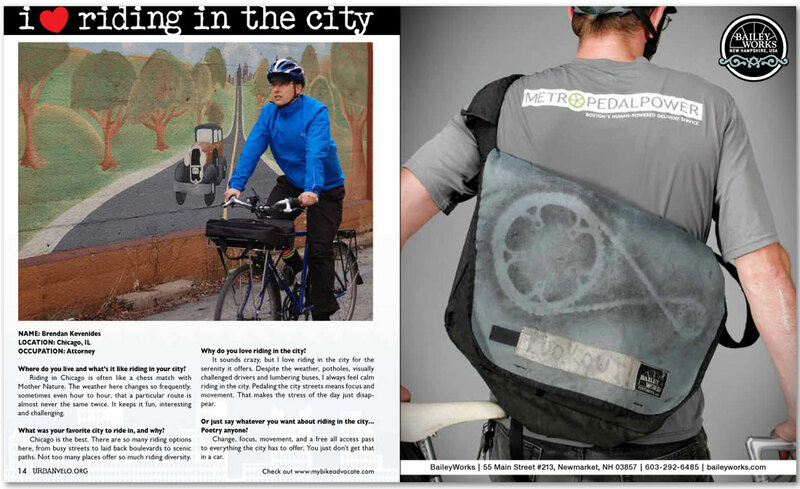 The new issue of Urban Velo is out and yours truly is in it. You bet I love riding in the city! All of the credit goes to my talented wife Maria Lopez for the photography. Can any of you Chicagoans figure out where the photo was taken? A 30 year old female bicyclist doored in Bridgeport in May has received the full amount of insurance coverage from the driver's insurance company. The cyclist suffered wrist sprains after a driver opened her car door with out looking for bike traffic near 2917 South Throop Street on the evening of May 9, 2011. The cyclist was riding a "slow bike" with a functioning headlight and was obeying all traffic laws at the time of the crash. 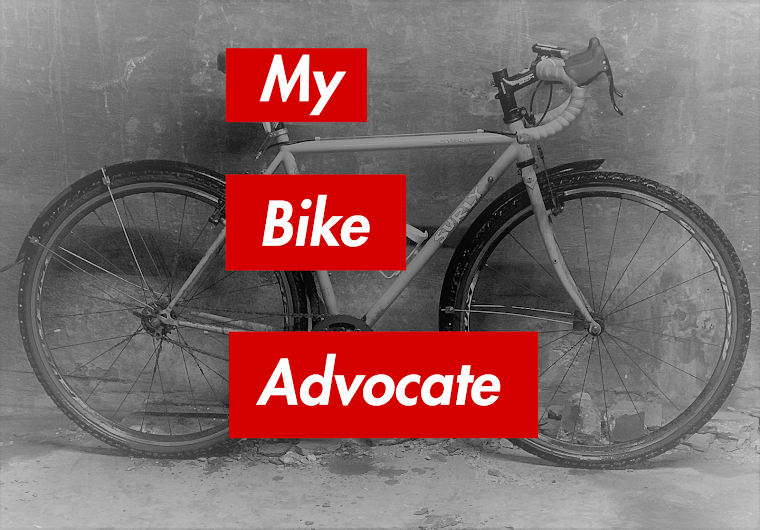 My law firm represents the bicyclist. A 40 year old driver struck and seriously injured a teenage bicyclist at the intersection of Beller and Lemont roads in Darien on Sunday afternoon, according to the DownersGrovePatch. Unconscious from the crash, the teenager was extracted from underneath the vehicle by paramedics before being rushed to the hospital. The driver, Timothy J. Hagan, allegedly struck the cyclist while attempting to turn right from Beller onto Lemont. The bicyclist "was crossing Beller in the crosswalk," according to the DownersGrovePatch. The driver was ticketed for failing to yield to the bicyclist in the crosswalk. A 30 year old female cyclist was struck by a car while riding southbound along a bike path in Harold Washington Park on Chicago's South Side on February 12th. The woman was crossing the path's intersection at East 53rd Street when a westbound Honda Civic traveling at about 20 mph struck the front of her bike. The path continues on the south side of 53rd Street. The impact sent the rider reeling along the right side of the car and onto the ground where she suffered a separated shoulder. She was rushed via ambulance to the nearby University of Chicago Hospital. She may require surgery to repair her badly damaged shoulder. The driver claims that the bicyclist came off of the trail and crashed into the side of his car. 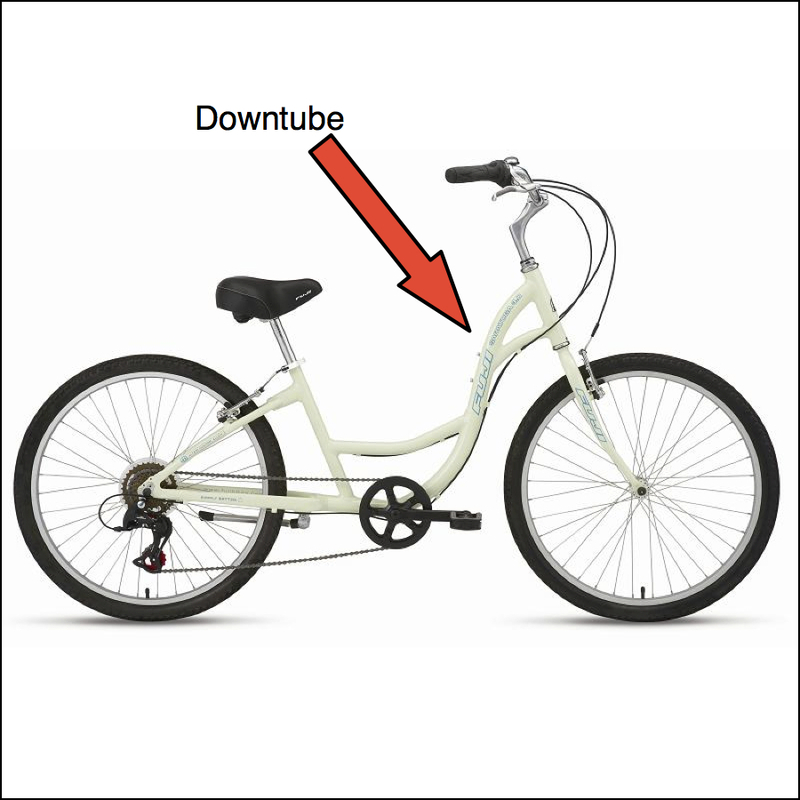 However, the damage to the woman's bike strongly suggests that it was she who was struck from the side. My law firm is representing the injured bicyclist. A claim arising from a dooring incident that occurred in front of Chicago's East Bank Club in May has settled. My personal injury law firm represented the bicyclist who was commuting home from work when he was injured. The 38 year old cyclist was riding along the right side of West Kinzie Street when a driver parked along the curb opened the door of her 2010 Mercedes-Benz into his path without looking for bicycle traffic. She was ticketed by police. The car's door opened a sizable gash along the right calf of the bicyclist who was transported via ambulance to Northwestern Memorial Hospital. The wound was large enough that bone was visible to the naked eye and required 11 stitches to close. The cyclist also experienced weakness in his right great toe since the incident which has slowly resolved. He also continues to have some significant scarring to his lower leg which is likely permanent. The incident occurred about a month before installation of the Kinzie cycle track which segregates bicycle traffic from motor vehicles and eliminates vehicle parking along the curb. Is There A Growing Movement To Allow Bicyclists To Treat Stop As Yield? The way you ride is probably a crime. Illinois law requires all bicyclists to stop at every stop light and every stop sign: Every single time. Do you do that? Right. If you are like most reasonable Chicago bicyclists you stop and wait for the light to turn at busy intersections. You never "blow through" stop signs. You always look for traffic when approaching even the quietest intersections. But you do not always stop. You fairy consider yourself a safe cyclist. 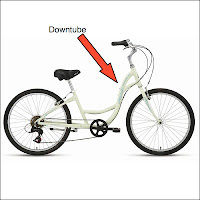 In my opinion, there is a disconnect between what the law presently is, and the way many reasonable cyclists ride. This is bad for cycling. Criminalizing the way the vast majority of reasonable bicyclists ride does not help broaden the appeal of urban cycling nor the image of bicyclists in general among the non-biking public. Thankfully, there seems to be a movement afoot to change this, one I would like to see Chicago and our state adopt. Right now, more places are seriously considering allowing bicyclists to yield at stop signs and lights. If these initiatives take root, cyclists would not have to stop at intersections under certain circumstances. To be clear, no one anywhere is seriously talking about allowing bicyclists to recklessly blow through traffic lights and stop signs. Rather, under measured consideration is permitting cyclists to yield if traffic is present at an intersection, but not waste time by stopping when nary a car is in sight. These proposals are under serious consideration in London, several cities in France, and in Arizona. In London, under consideration at some 500 or so intersections is the possibility of giving bicyclists an "early start," according to The Guardian. Each intersection or junction is to be separately assessed by Transport for London (equivalent to the DOT) to determine if permitting an early start makes sense given the existing conditions and risks to bicyclists. The plan could "include the installation of traffic lights set with an 'early start' phase for cyclists, allowing them to move ahead of the mass of motor traffic," according to The Guardian. In France, permitting cyclists to treat lights and stop lights as yield indicators is being tested, according to Treehugger. The relaxed rule is being tested at 15 intersections in Paris and at locations in the cities of Bordeaux, Strasbourg and Nantes. The law requires that "cyclists yield to pedestrians and opposing traffic," according to Treehugger, and bicyclists will, of course, need to rely on their own self-preservation instincts to avoid calamity with motor vehicles. 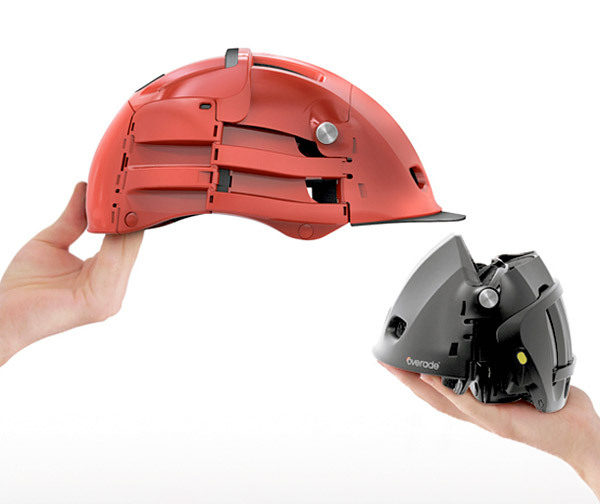 So far, "these experiments have led to no rise in the number of accidents," the website reports. Some will scoff at these overseas measures. Those goofy europeans; so permissive. 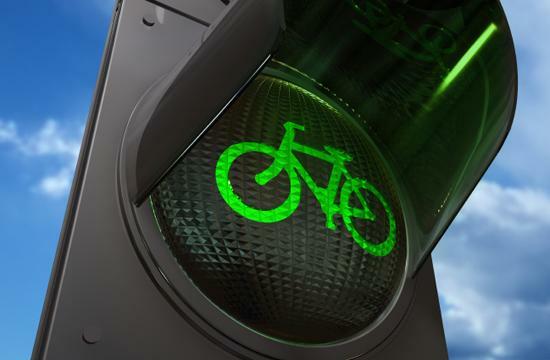 However, Arizona may be poised to become the second state in the nation to permit bicyclists to yield at traffic control devices. For some time now Idaho has permitted bicyclists to do so. Now, Arizona House Bill 2211, a bipartisan measure, "would allow bicyclists 16 and older to treat a stop sign as a yield sign. Cyclists could ride through without stopping if there were no other cars around but would still have to stop and yield to any cars in the intersection," according to azcentral.com. The bill, sponsored by Rep. Daniel Patterson (D) and Rep. Vic Williams (R), in its present state would also establish that, "If after riding past a yield sign or stop sign without stopping the bicycle rider is involved in a collision in the intersection, the collision is prima facie evidence of the bicycle rider's failure to yield the right-of-way." One supporter of the bill notes that the proposed law, "Isn't a green light to blast through a stop sign," according to azcentral.com. Recently, our own state's legislature has demonstrated an understanding that traffic laws may require revision to reflect sensible human tendencies. Earlier this year, a new Illinois law went into affect that permits bicyclists outside of Chicago to pass through red light controlled intersections where the light fails to detect their presence and when no other vehicles are present. While obviously not as far reaching as the other initiatives described above, this law is an important step because it recognizes that it sometimes does not make sense to treat bikes just like cars. Safety should not require a bicyclist to wait for a light to change when good sense and the circumstances permit safe passage through an intersection. At the moment our state's traffic laws criminalize the way sensible, careful bicyclists ride. This sends a terrible message and gives fringe anti-bicyclists something to scream about every time a cyclist rides through a light. Cyclists should not be legally permitted to blast through stop signs, but let us consider where it might make sense to revise the rules of the road. 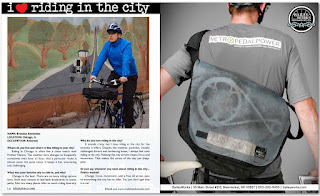 I have noted before that one of the biggest challenges that comes with representing victims of bicycle accidents is finding a witness that can back-up the cyclist's version of events. One solution, is to ride with a video camera affixed to your bike or helmet. Recently, the BBC did a very nice piece about just that, detailing how some riders are using the devices with positive effect in London. Check it out below. Cheers to Rudolf G. Burger who posted a link to the video on The Chainlink, to Alleycat Fixed Gear for supplying the video, and to the BBC for creating it.